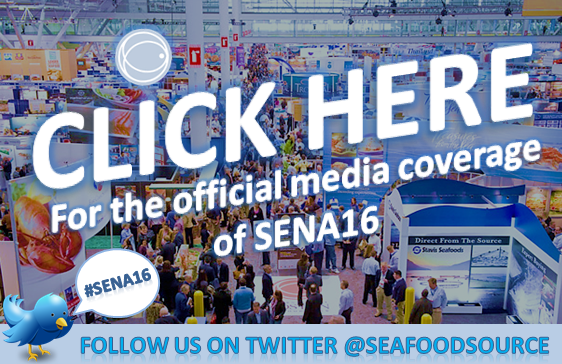 This year’s Seafood Expo North America/Seafood Processing North America (SENA) event will feature a keynote address from Kent Greenfield, Professor of Law and Dean’s Research Scholar at Boston College Law School, on the topic of “Success, Failure and Corporate Social Responsibility” within the modern seafood industry. Growing live lobster sales is at the top of the docket in 2016 for U.S.-based seafood distributor Maine Coast. The company, which specializes in shipping Maine and Canadian lobster worldwide, has been focusing on upping its marketing efforts to achieve this goal, explained Maine Coast Marketing Manager Annie Tselikis. Bambino’s Frozen Baby Food has made quite the splash in seafood this year, having secured one of the top prizes at the 2016 Alaska Symphony of Seafood competition with its Hali Halibut baby food product. Yamato Corporation, a global developer in the weighing equipment and systems industry, will be highlighting its waterproof portion control weight scale at the upcoming 2016 Seafood Expo North America (SENA) event, running from 6-8 March at the Boston Convention and Exhibition Center. Advanced aquaculture technologies and cutting-edge proprietary cryogenic solutions will be on full display for those who visit the Linde LLC booth at this year’s Seafood Expo North America / Seafood Processing North America (SENA) event, held from 6 to 8 March in Boston. As the industry gears up for this year's Seafood Expo North America and Seafood Processing North America show, the team at SeafoodSource is proud to be hard at work in the Diversified Communications office, alongside the same folks who bring the industry the Boston seafood show we've come to know and love year after year. The “awe-inspiring nature and hardworking people” behind Turkish Seafood are on full display this week for attendees of Seafood Expo North America 2018, taking place in Boston, Massachusetts from 11 to 13 March. There is more than one way to enjoy catfish, a fact that Itta Bena, Mississippi, U.S.A.-based Heartland Catfish Company intends to prove during the upcoming 2018 Seafood Expo North America (SENA), scheduled to take place in Boston, Massachusetts 11 to 13 March.